Milwaukee Tool is an industry-leading manufacturer of heavy-duty power tools, accessories and hand tools for professional users worldwide. 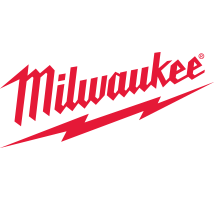 Since the company began in 1924, Milwaukee Tool has led the industry in both durability and performance. With an unwavering commitment to the trades, Milwaukee continues to lead with a focus on providing innovative, trade-specific solutions.